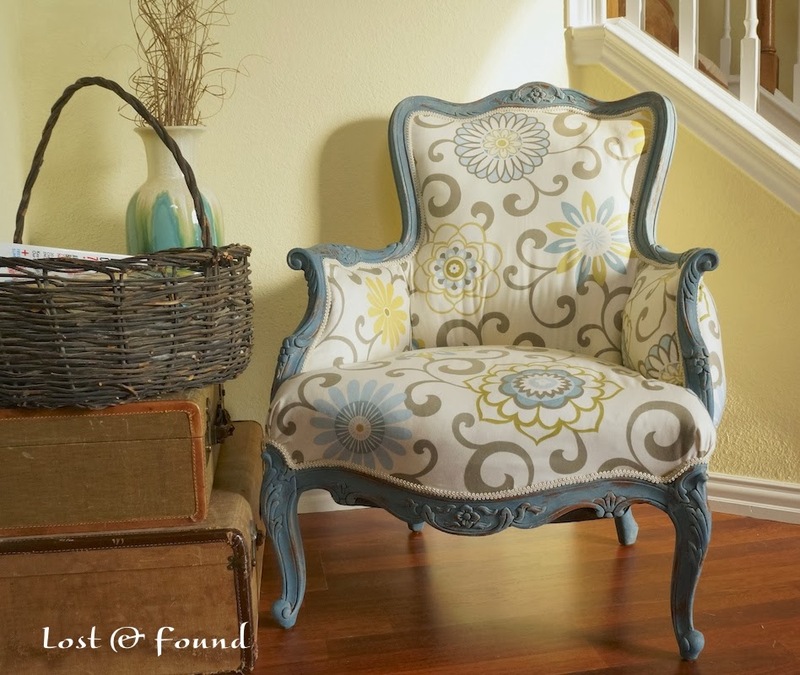 This beautiful French chair makeover comes to us from Melanie at Lost & Found. Love that fabric! 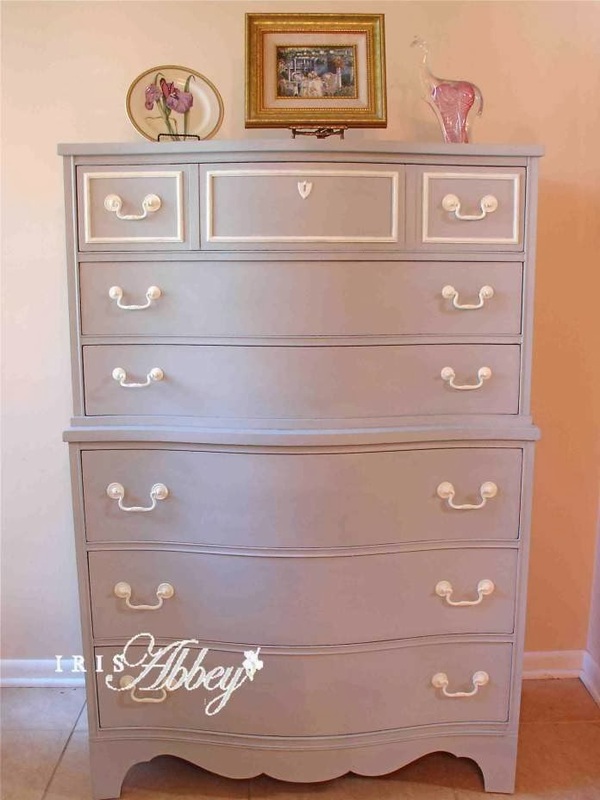 Iris Abbey shared this elegant and sophisticated serpentine chest! 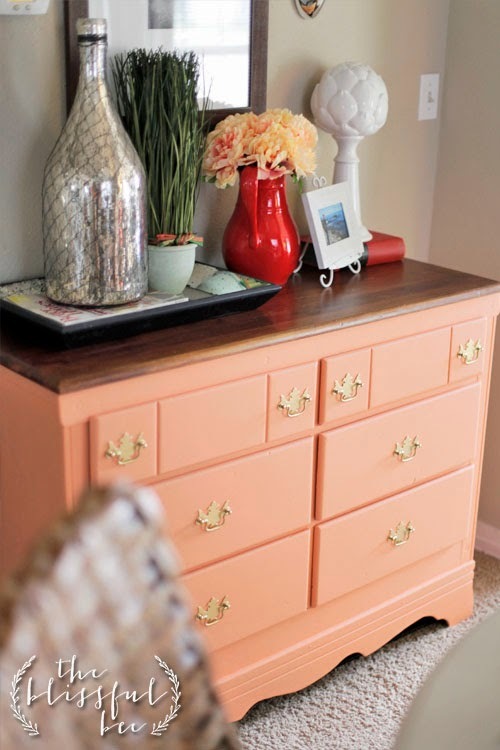 Amy from The Blissful Bee decided to go light and bright in her dining room with this yummy shade of coral! 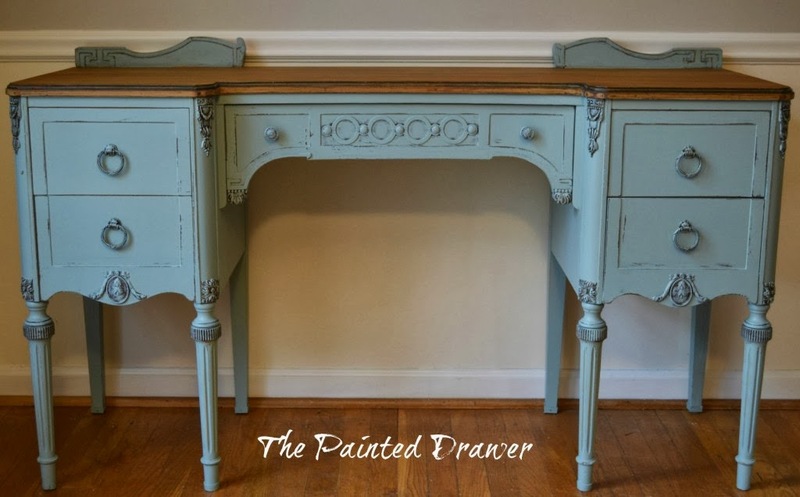 Love this gorgeous shade of blue from Suzanne at The Painted Drawer! 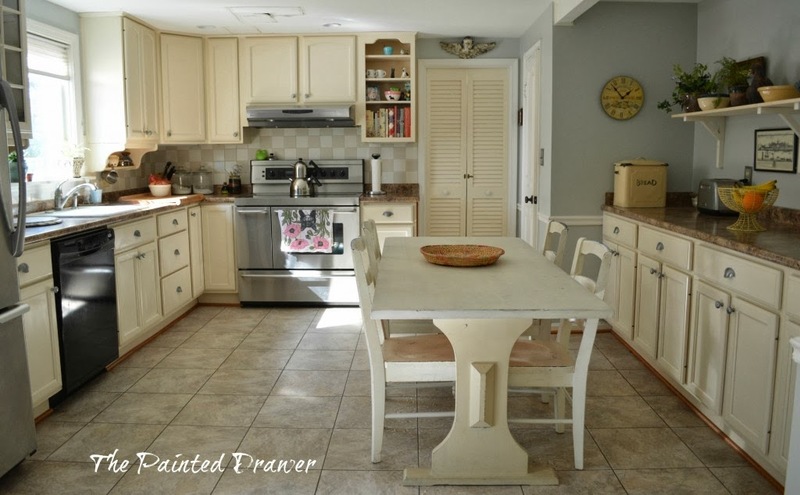 Suzanne also shared her beautiful kitchen makeover. I really love the addition of open shelves, don't you? Cathy from My 1929 Charmer turned a thrift store blouse into a pretty lampshade - clever girl! 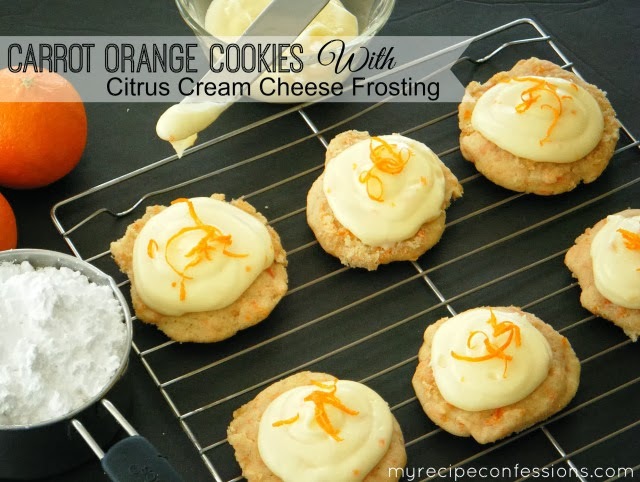 And these Carrot Orange Cookies with Citrus Cream Cheese Frosting from My Recipe Confessions sound so fresh and bright - perfect for spring! Thank you for featuring my Serpentine Chest in this week's party. I've previously complimented some of the other featured ladies: Melanie on her reupholstered chair and Amy on her coral dresser. Now I'm off to read about your other features. Have a great week -- you have certainly brightened mine. Just found your blog! 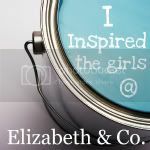 Thanks for hosting, I am a new follower! Beautiful features! Thanks so much for hosting, Sharon. Have a lovely week! 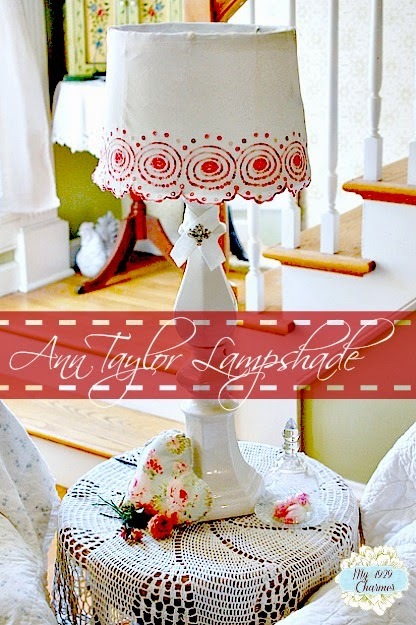 Thanks so much for the feature I am really excited about my Ann Taylor Lampshade! The other features are so great and will head over to check them out! Thanks for hosting! I linked up my locker find! Thanks for hosting! That lamp is so cute! What a clever idea! Thanks so much for hosting this fun party...gotta go check out that kitchen makeover.